Taking pole vault, and the Canadian record, to new heights every time she steps foot in a stadium, Alysha Newman entered the women’s pole vault final at 4.30 metres at the Commonwealth Games. 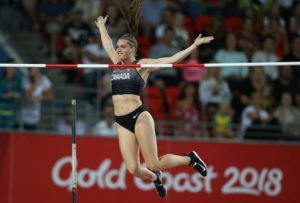 After setting a new Games record with a vault of 4.65 metres, and the Gold medal on the line, Newman would pass on her final attempt at 4.70 metres. With the crowd on its feet, she cleared 4.75 metres on her first attempt winning Gold in record-setting style and the Canadian record. 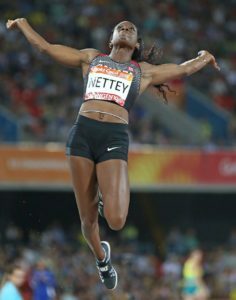 Christabel Nettey took the gold medal at the Gold Coast ‘s Commonwealth Games in the long jump with 6.84m. 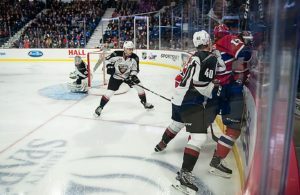 This was the Surrey athlete’s most prestigious international medal since her the 2015 Pan American Games victory. Christabel’s Commonwealth Games distance equals her meet record at the Jerome Classic set in 2015. Nina Schultz competing at her first international competition as a senior set a personal best in the 2 day heptathlon with 6133 points in the 7 event challenge. The New Westminster athlete set personal bests in high jump -1.84m, 100m hurdles-13.47(0.6) and the 800m-2:17.40. This trio from British Columbia has competed at the Vancouver Sun Harry Jerome Track Classic in the past. 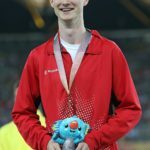 Marek Jedrzejek, Chair of Jerome Classic invitations will be communicating with these medalists with invitations to compete at Swangard Stadium on June 26th and June 27th. 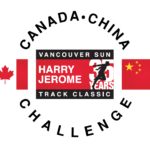 The 35th Vancouver Sun Harry Jerome Track Classic will feature the China Canada Team Sprint Challenge which will feature the 100m, 200m, 400m, 4x100m and 4x400m for both men and women. 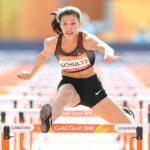 This format of 10 men and 10 women for both Team China and Team Canada will produce the winner of the Pacific World Cup in this speed focused dual meet. 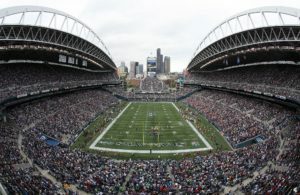 Last year’ Jerome Classic was sold out almost a month in advance. 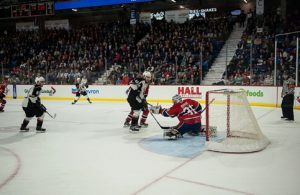 It is recommended that ticket be purchased early as many expect another sell out.